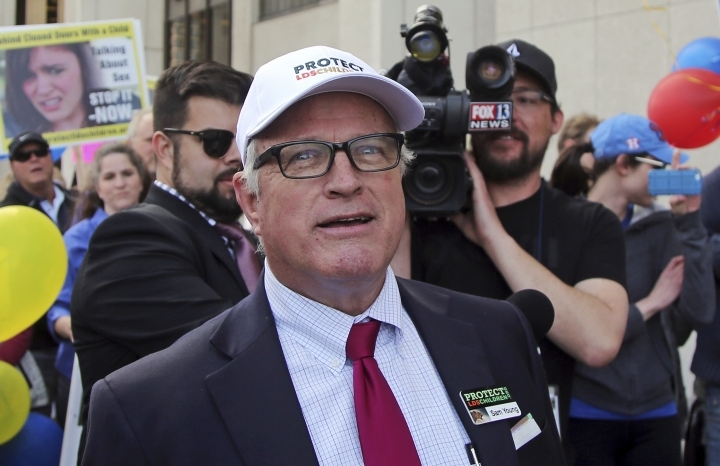 SALT LAKE CITY — A Mormon man facing church discipline for his public opposition to closed-door, one-on-one interviews of youth said Monday he thinks he might have helped his chances slightly during a disciplinary hearing but not enough to stave off excommunication. Young joked in a phone interview that his chances doubled from "one in a million" to "two in a million" following a 90-minute hearing in which he and his wife spoke after hearing the evidence against him, much of which was writings from his blog. He said they asked him if he believed the church was the one true church, if he believed in the law of chastity and why he wanted to still belong to the faith. Young said he told a panel of 15 men that he has always been confused by the "one true church" description but that he very much believes in the law of chastity. He said he wants to stay in the church because he has put his heart and soul into the faith and because his wife and six adult daughters are members. But he made clear he won't back down from what he believes is a campaign to protect children. "If you choose to excommunicate, the world will not only see what Mormons do to their own children, but they will also see how we treat those who speak up to protect our little ones," Young said according to prepared remarks he shared. "That is the choice that this council comes down to: Protect the leaders or protect the children." Eric Hawkins, a spokesman for the Mormon church, declined comment on Young's case. The faith doesn't generally comment on disciplinary hearings. Mormon leaders have defended the youth interviews as an important way for bishops to get to know youth better and determine their religious habits and obedience to God. The church changed its policy earlier this year to allow children to bring a parent or adult with them. 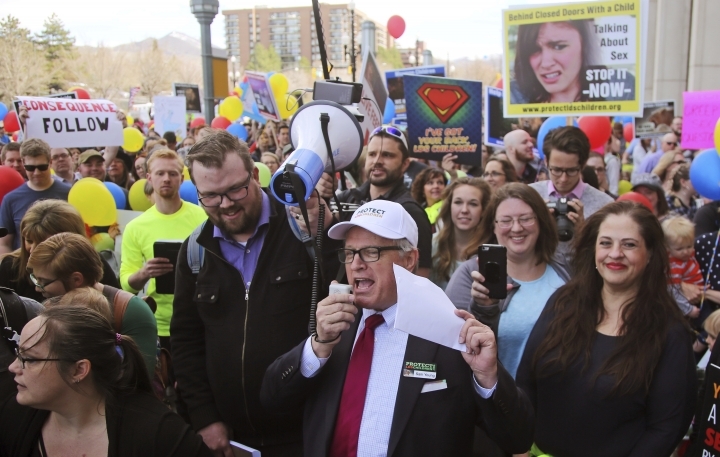 If ousted, Young would become the third high-profile Mormon who led protests about church policy to be excommunicated in recent years. The youth interviews usually happen twice a year starting at 12. One of the questions asked by men who are called bishops deals with sexual activity: "Do you live the law of chastity?" "We have an institutionalized policy mandating bishops and their counselors to take minors behind closed doors all alone, and ask these children sexual questions," said Young, according to his prepared remarks. "Every one of you in this room has been groomed to accept this as a normal thing. It is not normal .... Everyone outside of the church recognizes that this is way beyond improper." Young's supporters who include some Mormons and some ex-Mormons held rallies at spots around the West, including one in Mesa, Arizona, where 20 people gathered across from a Mormon temple, according to the Arizona Republic. Earlier this year, about 1,000 people marched to church headquarters in Salt Lake City to protest the interviews.